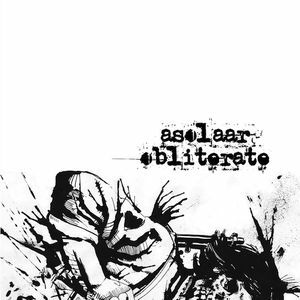 Being a project and label I have not come across before, Asolaar choose work with a corrosive blend of drone, noise and industrial, without being slavish to any of these particular sounds. Although billed as a full length, ‘Obliterate’ is a relatively short release, so actually more of an mini LP at around 22 minutes, given the shortest tracks come in at around 2 minutes, whilst the longest is around 6 minutes. The longest track on offer, ‘Anxiety Disintegrated’ opens the album with muted shuddering industrial drones and mid-toned buzzing static which functions as a mid-paced rhythmic pulse to drive the track forwards. Garbled unintelligible voices also bleed into the mix as the piece gradually builds to a quite intense and forceful sound. The following two side A pieces collectively deliver grinding layers within a coarse production, but also maintain a subdued atmosphere, where a clinical but rough tonal squall characterises proceedings. ‘Telsen’ (the first piece on side B) is an excellent example of tense and anxiety inducing electronics, where an undercurrent of dank and caustic industrial distortion is counter balanced by crackling electrics and buzzing industrial static. Moving on to the title track, it is far more subdued that its name may suggest, where low thudding industrial drones and a cavernous production gives way to a forceful yet muted lurching rhythmic throb, whilst ‘La Gloria de Tlitlizen’ is the most experimental toned of the album with a buzzing rhythmic pulse, sweeping static and heavily treated quasi-techno beat. By cherry picking tonal elements from the broad industrial, noise and drone spheres, Asolaar have bent these to their own agenda and created an interesting experimental blend in the process, but with the industrial elements taking greatest prominence this should be of clear interest to noise receptor readers. Packaging consists of a hand screen printed cover, with rough feel of the screen printed ink on the uncoated card stock providing some pleasing ‘physicality’ to the release. Irgun Z’wai Leumi – ‘Landslide Floorfiller’: This somewhat obscure side project of Proiekt Hat bring a piece of filth infested, heavy burrowing distortion and mid paced mechanised tape loops. Having a thick, weighty, yet warm analogue sound (where overlapping layered loops build in intensity), it is an excellent introduction. Amph – ‘After Nature’: opts for a queasy pulse and micro tonal layered sounds which are fine granted and detailed. The track is minimalist in structure but highly animated and rather forceful by tracks end and a great example of tape experimentations with a darker undercurrent. Hal Hutchinson – ‘Dead Weight’: delivers an example of his recognised raw junk metal abuse which has lots of tonal space and depth. Not being overlay chaotic, this is noise from a ‘breathing’ experimental angle, where it sounds to be have been constructed with multiple junk metal recording sessions. With an atmosphere of cascading metallic clatter, it very much sounds like a washing machine being thrown down a stairwell. Enklav – ‘Skiffer – Förbannad Jord’: sits within a 1980’s ‘clanging’ analogue industrial sound, which combines loose thumping rhythms with micro tonal textures sitting well in the background. Death industrial meets tape experimentations perhaps? Vårtgård – ‘Grufvan’: delivers forceful electronics waves as an example of solid old school death industrial grinding structures, burrowing textures etc. Being of a monotonous structure there is only gradual evolution throughout. Clew Of Theseus – ‘Stronghold’: forms a track of meditative drones which is quasi-ritual in tone. The mood in one where a deep, hollow and distant drone merges with metallic synth elements which contain a buried harmonic quality. Kristian Olsson – ‘Stenlunga’: is loose and less chaotic and oppressive than Kristian’s main work as Alfarmania. Sparse tape manipulations build with a muffled sound and distant squall – like being inside a tornado bunker as the storm rages outside. What sounds like a lone organ drone lament is buried within the mix which a nice touch. Niellerade Fallibilisthorstar – ‘Kilhacka’: delivers a distant, muffled and hollow drone which cyclically builds with more fine grained ‘crunching’ textures. Metallic gong like tones, dense rumbles and random textural sounds add sonic diversity. MNEM – ‘Troktopillar’: forms a track of heavy industrial noise loop manipulations, where stilted conveyor belt type loops form the main basis as more forceful looped layers are added and subtracted from the composition. Jeph Jerman – ‘Lithiary Redux’: focuses on experimental, micro-tonal sound textures which are somewhat ‘wet’ in tone and sounding like field recordings made in the hull of a ship. Here is the track has a great detailed atmosphere built on blend of scratching, tapping, scraping sound elements. Doroga – ‘Kiviteline’: constitutes an excellent ritual ambient track which is sparse in composition, featuring gongs, chimes and slow thudding ritualistic beat, with the overarching atmosphere being of an echoed depths of catacomb. With skin, metal and bones listed as sound sources/ instruments this provides an idea of the ominous tone. 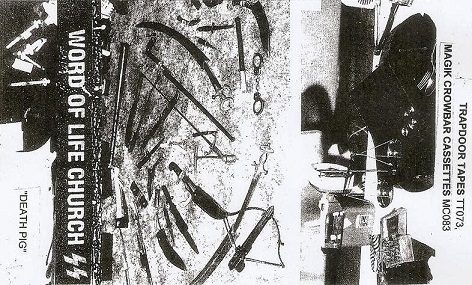 Dieter Müh – Fältspat: delivers an experimental ambient soundscape which is located somewhere between the borders of dark ambient to post-industrial music. 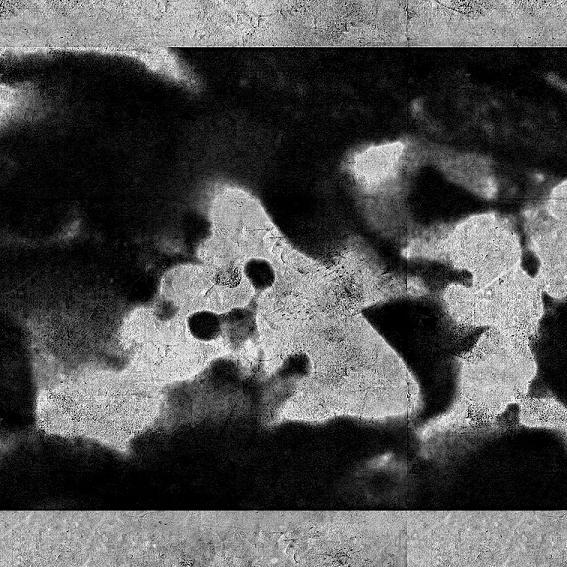 Vague rhythmic structures, stone scraping sounds and distant, minimal drones mix to generate a mysterious sonic aura. Ochu – ‘Ren Marmor (För George Mallory)’: Here loose ritual percussive elements mix with minimal tape loops etc. Sparse and echoed, with a gradual layering of micro-sounds textures (contact microphone in a bowl of rocks?) and occasional gong hits provides a solid and engaging atmosphere. Contrastate – ‘Haunted’: Sounding only as Contrastate can, their offering is distant, forlorn, mysterious, tragic in equal measures. Here warm layered organ type drones, occasional rhythmic loops and slow drawling poetic vocals give a distinct Contrastate flavour. ‘Beauty in darkness’ seems a complimentary description for this dark midnight and film noir type atmosphere. Feine Trinkers Bei Pinkels Daheim – ‘Notschrei’: Last album track reverts to the experimental where sound clutter and sweeping atonal textures function in an ebb and flow style. The track also moves into animated ‘wind tunnel’ drone territory as well as sacral drone ambient with orchestral elements and sampled choirs. 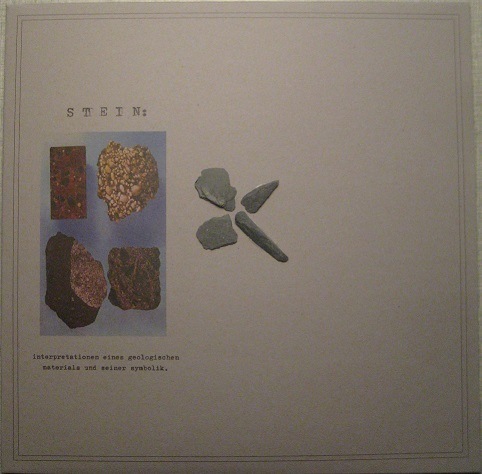 ‘Stein’ is an example of a compilation which absolutely works in terms of both sonic variety and conceptual focus. It features a strong, varied and intelligent set of experimental underground compositions, made all the more engaging due to the presence of a solid conceptual basis. Pressed on heavy weight vinyl, housed in a thick card stock cover and complimented with additional booklet containing individual artwork and text for each project’s offering rounds out the presentation. A rock solid compilation (…if such an obvious metaphor is not in poor taste). Expectations relating to any project’s artistic output can be an interesting thing. On one hand you might think you have a handle on what a project is about and what a new album may encompass, yet there are also those who manage to transcend such expectations which is clearly to their credit. So enter Troum, an act I have listened to sporadically over the years, without necessarily checking out every new release. Yet if asked to categorise their sound, I would have said with some degree of certainty that they produce ethereal ambient drone music with a focus on hypnotic trance like soundscapes. 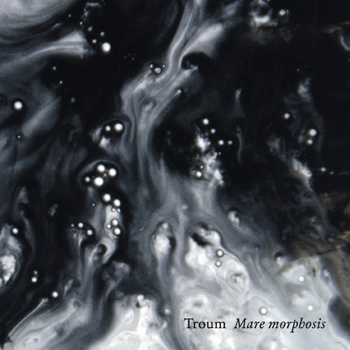 So then enter ‘Mare Morphosis’, Troum’s new album, which functions to completely shatter this perception. Whilst base elements adhere to a transcendent ambient drone framework, these however have been substantially augmented with composed sub-orchestral elements and even a strong influence from post-rock music (throughout certain album passages). The single album length composition commences with a structure of ethereal drones(mid paced minor keyed loops, interlinking in various patterns), which then sees the introduction of a lone maudlin violin melody. Yet the biggest surprise is when without warning the track breaks out with full post rock rhythm section (drumming and bass guitar), as the transcendent mood swells in cyclic fashion with the accompanying drones and rousing violin phrase. From here and with a structure of slow metamorphosis, the track gradually moves through a number of subdued droning passages (which reduce to a minimalistic structure), before building and elevating again, repeating over a number of cycles. Through one of these mid album segments the use of kit drumming returns, but here it is in more of a free-form and loose failing style, offset with a loose almost Middle Eastern style harmony. Likewise the end passage is a stunning example of transcendent swelling harmonic drone ambient which still maintains a partial post-rock sensibility in tone, despite not being driven by any drum/ bass backing (…think Eluvium for suitable reference). In terms of the overall arc of the album its builds to a number of crescendos through the early and mid-phases of the album, before gradually cycling down towards the end over an overall 51 minute expanse. Given the single track format ‘Mare Morphosis’ presents a bit of an ‘all or nothing’ proposition, by requiring the album to be appreciated in a single span, which could potentially be frustrating if wanting to forward to a particular segment of the album. Yet minor formatting issues aside, by sidestepping all preconceptions, ‘Mare Morphosis’ delivers a complex, animated and fully engaging drone work, one which is far more than incidental background music. Given this album demands focus and attention, it also sees Troum seamlessly incorporating musical influences from outside the regular frame of reference for this type of material. A rewarding listen. Here is a handful of 7”ep’s which have been co-released via the two underground Finnish labels Filth & Violence and Untergeschross. Although each release can be broadly slotted under the power electronics/ industrial genres, they also differ drastically in sound and approach, thus demonstrating the diversity which can be achieved under such genre classifications. Diverse vehement malice if you will. 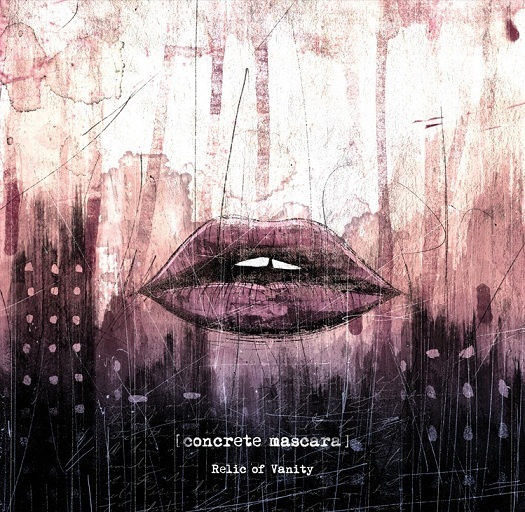 Up first is Concrete Mascara (with this being my first introduction to the project), who incidentally hail from the US. 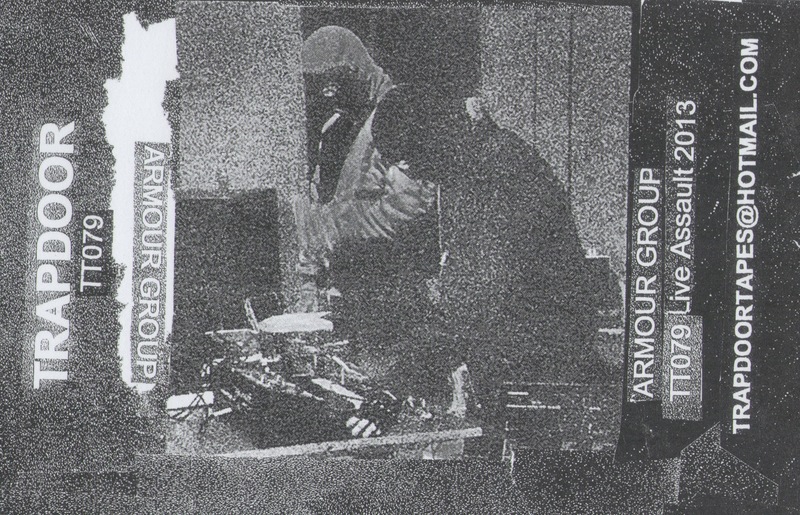 From this release they clearly operate at the brutal and nasty end of power electronics and industrial noise. ‘Vapour Slave’ opens the 7”ep and works on almost on two separate levels, where this forms an amalgam of mid to high range squalling and punishing noise, which floats over a crushing bass rumble and anguished vocal attack. Weighty to say the least. ‘Pylons of Skin’ is found on the flip side, and here maintains a similar dual layered approach, balancing ear shredding high-pitched noise and a wall of crushing bass and chaotic oscillating textures. Up next is Sick Seed with their ‘Helsingin Synagogat’ 7”ep, where they embody a rather different approach for what the project might be recognized for. The opening title track is pretty much a direct industrial ‘song’, being built around crude cave man styled bass playing, squelching feedback loop and screeched/ yelled vocals, with a later segment getting even more loose with a chaotically riffed electric slide guitar (?!?). Strange, strange indeed. 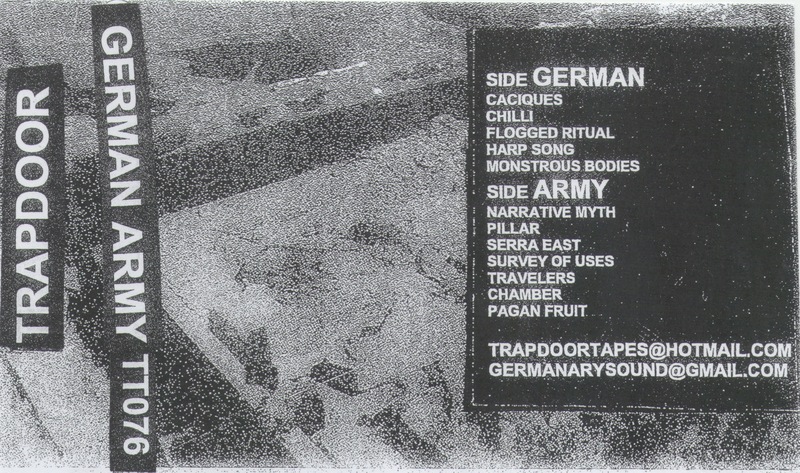 Side B brings a more ‘standard’ Sick Seed approach on the blink and you will miss it ‘Teeth Pt.2’ (only 1.22 minutes in length), which brings junk metal rumble, random power tool generated sounds and yelled vocals (…for interest’s sake part 1 of ‘Teeth’ was of similar style/ length and issues on the split release with Shift). The final of three tracks ‘Angel Smith’ then reverts back to the weird. Here sparse and distant junk metal clatter are accompanied by loose twangy acoustic guitar and spoken vocals to create an ‘industrial folk’ version of Finnish noise (?!?). Noting that this track is dedicated to the ‘outsider’ folk/ blues musician Jandek, this is at least an explanation for the deviation of sound. 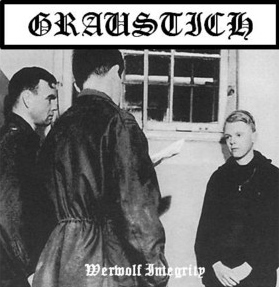 Up last are Graustich, who are yet another previously unknown project, but based on this 7”ep are a very promising act. On the first track ‘Es Geht Wieter’ it is introduced with a WWII radio sample, which bleeds into an undercurrent of oscillating textures, complimented with a pounding militant industrial beat, swooping aircraft bomber samples, and flanged partially buried vocals to create a simplistic yet entirely effective industrial/ power electronics sound. ‘The Roots of Evil’ follows with a heavier oscillating bass rumble and thundering catatonic beat, before a crushing wall of distortion seeps into the mix. On side B ‘Werwolf’ is more animated with thick mid-range burrowing pulse and squelching noise, German language samples, queasy descending atonal notes, and loose militant styled percussion. Although Graustich embody a relatively straight forward (semi-subdued) power electronics approach, all sonic elements are handled with skill with maximum effect. In a general sense none of these 7″ep’s would qualify as ‘gateway’ releases for those uninitiated to the power electronics genre, but that is far from the point. Obviously both Filth & Violence and Untergeschoss are both intent on releasing the nastiest examples of power electronics/ industrial noise for the educated underground connoisseur, with each of these 7”ep’s being clear examples of this modus operandi. Death Continues Records are a relatively new Belgian label and despite having issued a mere five releases since 2012, they have established a clearly defined aesthetic and sonic approach. As such the initial impression is that Death Continues Records are seeking to draw a direct lineage to the aesthetic and sound of Slaughter Productions, which can be further translated to mean lo-fi, old school, death industrial of a late 1980’s early 1990’s vein. To date album packaging has been rather rudimentary (utilising standard jewel cases), and with the graphic presentation being straight forward in style it again reflects the general Slaughter Productions approach. Femeheim is up first and delivers a sonic expression which encompasses lo-fi analogue death industrial musings. Tracks are mostly between 2 and 4 minutes in length, meaning they quickly set down a mood rather than stretching out over an extended length. Containing a mix of elements, here buzzing/ burrowing lo-fi analogue frequencies, stilted percussive thumps and grinding frequencies form slow loose rhythmic patterns, while partially mangled samples (choir vocals, marching tunes etc.) add to the sordid death industrial tone. Vocals are also an occassional feature, which range from spoken to screeched, but usually flanged or distortion drenched. Although sporadic tracks use mid paced pulsing structures to increase atmospheric urgency (almost power electronics in tone on late album track), a sullen tonality remains a constant. 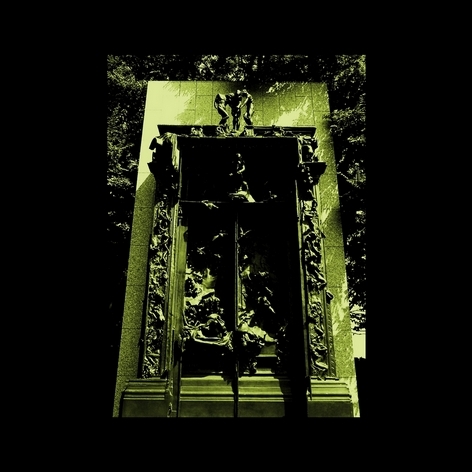 So without necessarily being ground-breaking, all in all Femeheim deliver a solid example of morbidly minimalistic death industrial music, which sits somewhere between the minimalist psychological tension of Atrax Morgue and the heaving/ pounding tone of Brighter Death Now’s ‘Great Death’ era. Stadingers is up next and differs slightly due to its dank droning sound, which sits between a dark ambient and death industrial tone (but leaning more towards the later). 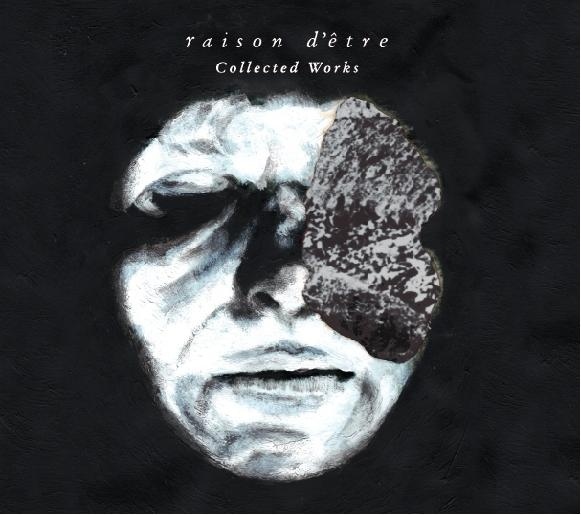 The title track opens the album with atonal droning textures which are possibly generated via a guitar, but any real resemblance to a guitar riff has been abstracted to the point of unrecognizability. As the album progresses, the crude analogue sound provides a soot and grime infused atmosphere, which also articulates a sonic aesthetic of a cavernous industrial space (…far off tarnished vocalisations make an occasional appearance, but always garbled and unintelligible). ‘Putiphar’ stands out with its use of a prominent dialogue sample over a throbbing/ thumping mechanised industrial base (…yet the looped sample actually looses a bit of potential impact through overuse). A dank, oppressive and muffled analogue feel is present throughout, which when coupled with the crude looseness to the compositional approach (evidenced by the occasional atonal warbling synths), all tends to amplify a lo-fi late 80’s early 90’s vibe of dark experimental / ambient music. As suggested by the label name Death Continues Records appear intent on raising a recognisable banner under which death industrial obscurities can be issued to a wider audience. In more specific terms this is about fostering a ‘classic’ death industrial sound independent of genre fads or trends. Both album’s from Femeheim and Stadingers achieve this aim, where each will suit those whose listening habits yearn for the early era of the death industrial genre. As a final comment, if these two albums were to be ranked, for these ears at least Femeheim wins out for its slightly more focused (yet subdued) morbidly morose atmospheres.